So it is safe to say the weather is getting cooler and cooler as the days go bye. So its really time to invest in a great coat that will take you through the winter. 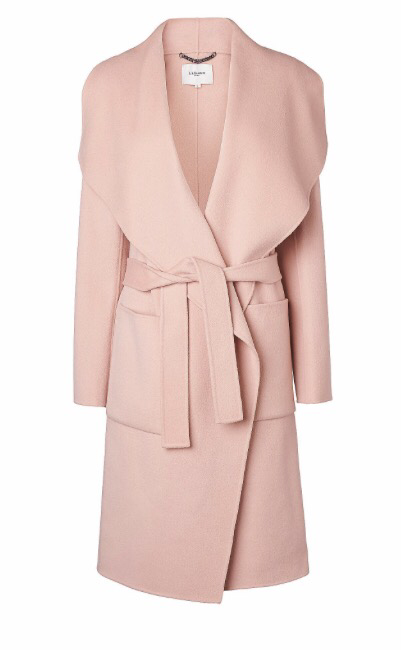 I have no fallen in love with this beautiful Pink Wool Coat from LK Bennett. Granted it is not cheap at a budget busting £450 but…. you have to think a coat is for life (or until you get bored of it). This is such a great colour for the majority of skin tones and you can dress up and down with your standard classic colours. Also im in love with this cute little cosmetic bags perfect to throw in your bag. Perfect present to pick up with the 25% discount in the run up to Christmas. A definite yes on my Christmas list.